The medium is the message. Laptop-free since 2009. 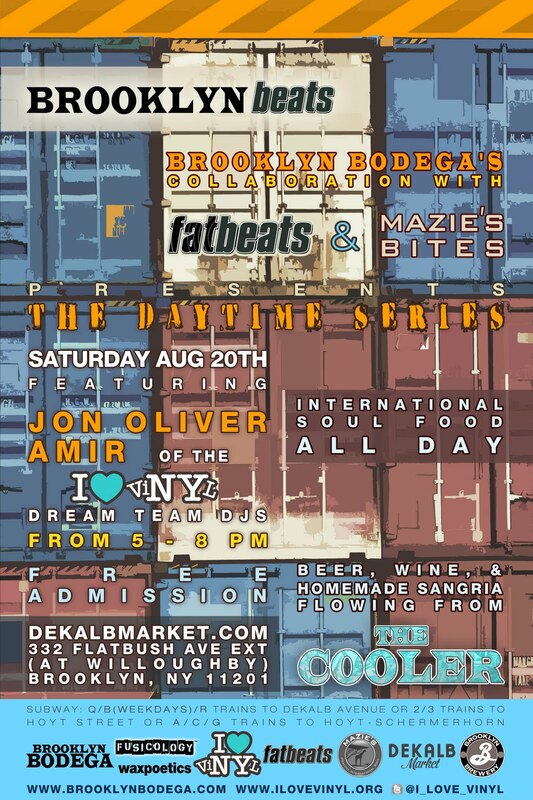 This Saturday kicks off a series of free daytime events featuring the I Love Vinyl Dream Team djs at Brooklyn Beats, a collaboration between Brooklyn Bodega, the hosts of the Brooklyn Hip-Hop Festival, and legendary hip-hop record shop and label Fat Beats, which consists of a bar and record store at the the new Dekalb Market.